It’s been a long, hard road to space for Canada’s CASSIOPE satellite, which now sits atop a Falcon 9 launch vehicle at Vandenberg Air Force Base in California waiting for engineers to resolve anomalies discovered in the rocket’s first stage engines. The 500 kilograms (1,100 lb) spacecraft was originally booked in 2005 on SpaceX’s smaller Falcon 1 rocket, with an expected launch in 2008. 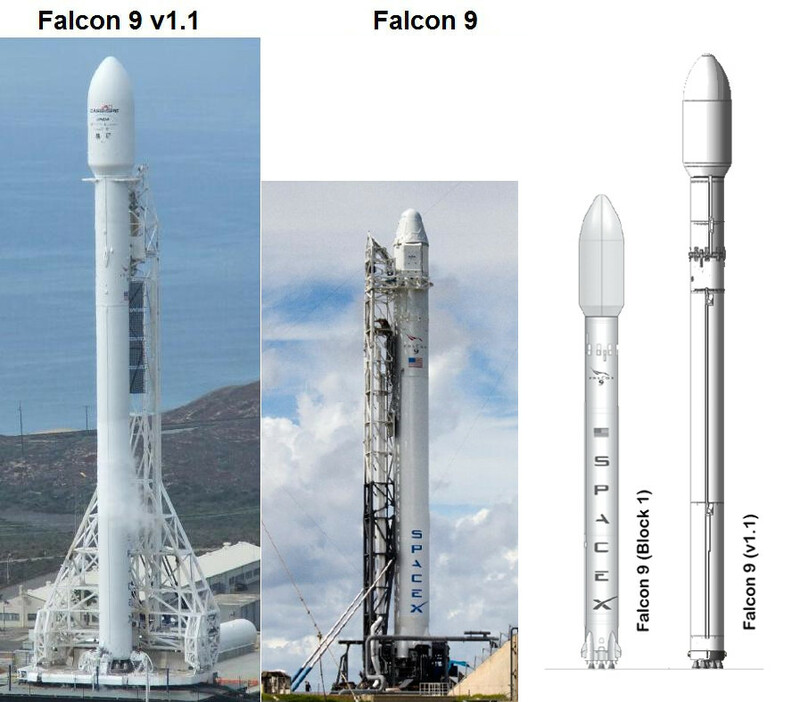 Delays followed, and then CASSIOPE was shifted to the much larger Falcon 9 launch vehicle after SpaceX canceled the Falcon 1 program. The spacecraft spent years in a storage facility awaiting its turn. CASSIOPE is now set for launch on a “development flight” of the new Falcon 9 version 1.1, which features about a half dozen significant changes over its predecessor. Any time a launch provider makes even one significant alteration in a booster, it increase the chances of something going wrong. To make a multiple ones and test them all at once involves major risks. Continuing our look at recent U.S. launches, we turn our gaze to Elon Musk’s scrappy start-up, SpaceX. In poker terms, the California-based company now holds three of a kind….three 5’s, that is. They’ve had 5 largely successful flights of its Falcon 9 rocket (with one secondary payload placed in the wrong orbit), 5 flights of the Grasshopper test bed, and 5 flights of the Falcon 1 rocket with a pair of successes and a trio of failures. 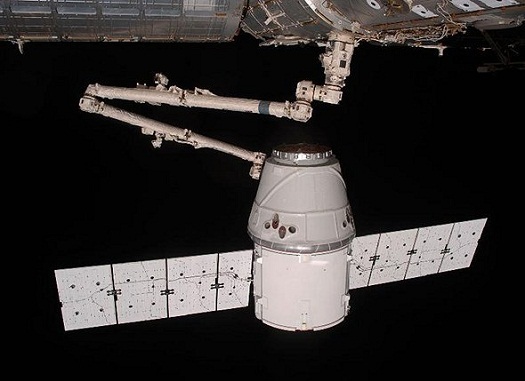 There also have been four successful flights and recoveries of the Dragon spacecraft. SPACEX PR — Ten years ago today, SpaceX was founded with the goal of helping make the human race a multi-planetary species. We remain firmly committed to this goal and will do everything within our power to help make this happen. Today Space Exploration Technologies (SpaceX) and Astrium announced a commercial agreement to provide dedicated launch services to the European institutional small satellite market. Under the agreement, Astrium intends to work with SpaceX to market Falcon 1 launch capabilities to various space agencies and other institutional customers in Europe for launches to take place through 2015. Space Exploration Technologies (SpaceX) and the National Space Organization (NSPO) have signed contract for the launch of NSPOâ€™s Earth Observation Satellite, Formosat-5. Formosat-5 will be used to continue the image data service for civilian users and may also carry instruments to conduct space research and scientific experiments. The success of Falcon 9 has got ESA Director-General Jean-Jacques Dordain thinking, according to a report in Flight Global. Dordain that SpaceX’s approach is to make about 80 percent of components in-house, something that would be difficult for ESA because it needs to spread out contracts across Europe according the member states’ contributions. ORBCOMM Inc. (Nasdaq: ORBC) and Space Exploration Technologies Corp. (SpaceX) announce they have reached an agreement for SpaceX to launch 18 ORBCOMM Generation 2 (OG2) satellites to begin as early as the fourth quarter of 2010 through 2014. SpaceX will deliver ORBCOMMâ€™s second-generation satellites into low Earth orbit (LEO) for the purpose of supporting ORBCOMMâ€™s existing constellation of satellites, adding new features, and growing its global Machine-to-Machine (M2M) and Automatic Identification System (AIS) offerings. 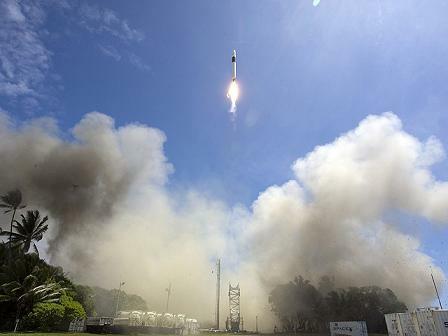 SpaceX’s Falcon 1 rocket put Malaysia’s RazakSAT remote sensing satellite into orbit on Tuesday from a seaside launch pad in the Marshall Islands. The launch, which occurred at 3:35 p.m. local time (8:35 p.m. PDT Monday), appeared to go flawlessly based on a live webcast. About a half hour after the rocket reached orbit, the second stage relighted and deployed the satellite into its correct orbit over the Equator. This is the first satellite placed into orbit by the California-based start-up. In its most recent launch, Falcon 1 put the second stage of the rocket into orbit but there was no satellite aboard. Three previous launch attempts failed. This launch marks the first time that a privately funded, liquid fueled rocket has placed a satellite into orbit. The launch window for the fifth Falcon 1 launch opens Monday, July 13th and extends through Tuesday, July 14th, with a daily window to open at 4:00 p.m. (PDT) / 7:00 p.m. (EDT). 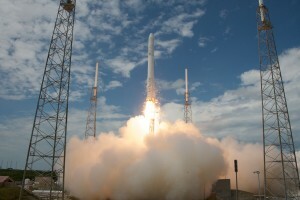 SpaceX will provide live coverage of the Falcon 1 Flight 5/RazakSAT mission via webcast at www.SpaceX.com. The webcast will begin 20 minutes prior to launch and will include mission briefings, live feeds and launch coverage from the launch site. Post-launch, video footage and photos will be available for download on the web site. 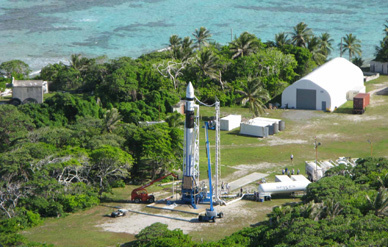 SpaceX is set to launch a Falcon 1 rocket with Malaysia’s RazakSAT remote sensing satellite from the Kwajalein Atoll in the Marshall Islands on Tuesday local time (Monday in the United States). This will be the fifth launch of the Falcon 1 rocket, which has succeeded once in four previous attempts. Space Exploration Technologies (SpaceX) and Astronautic Technology (M) Sdn Bhd (ATSB) of Malaysia announce a new launch window has been set for Falcon 1 Flight 5, carrying the RazakSAT satellite to orbit. The launch window opens Monday, July 13th and extends through Tuesday, July 14th, with a daily window to open at 4:00 p.m. (PDT) / 7:00 p.m. (EDT). SpaceX's Falcon 1 rocket takes off on first successful flight. SpaceX’s launch of Malaysia’s Razaksat remote sensing satellite has been rescheduled for mid-July, a two-month slip from its original April 21 launch date. At 37 years old, Elon Musk is poised to become either the Henry Ford or the Howard Hughes of his generation. 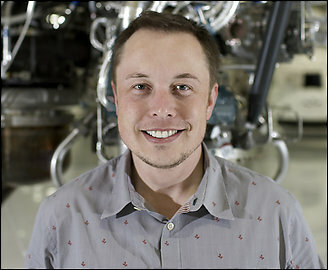 If his Falcon rockets and Tesla electric cars succeed, heâ€™ll revolutionize 21st century transportation. If they donâ€™t, heâ€™ll likely be remembered as a colorful, clever, but ultimately irrelevant tinkerer. After all, Neil Young has an electric car, too. Due to a potential compatibility issue between the RazakSAT spacecraft and Falcon 1 launch vehicle, Space Exploration Technologies (SpaceX) and Astronautic Technology (M) Sdn Bhd (ATSB) have agreed to postpone the launch of ATSB’s RazakSAT satellite.